When it wrote the Medicare law, Congress called Medicare Part A “Hospital Insurance” and Part B “Supplemental Medical Insurance.” Part A is intended to pay for inpatient hospital care. It is a charade to consider people who stay IN the hospital for more than 24 hours “outpatients,” and pay for their care under Part B. 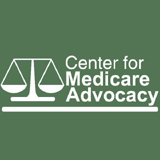 This not only conflicts with the Medicare law and Congressional intent, it also harms the older and disabled people – and their families – who depend upon Medicare and for whom the law was written. They lose their right to Part A hospital coverage, are often left with hospital bills they would not have if they were properly admitted, and completely lose their ability to obtain Medicare coverage for post-hospital nursing home care. CMS’s insistence on continuing this policy places hospital payment mechanisms over the interests and rights of older and disabled people.